After months of hand-wringing about the dearth of Jewish candidates in the New York mayoral race and what that means for the future of New York Jewry, we can all breath a sigh of relief--Anthony Weiner has entered the race. Now, Jewdar is a forgiving sort, and skeevy as what he did was, on the political spectrum of bad behavior, it’s pretty far down on the scale. Chances are in the primary we’ll be casting our vote for Sal Albanese (we have a certain affinity for well-intentioned schlumpfy guys with no chance of winning–draw what conclusions you will). 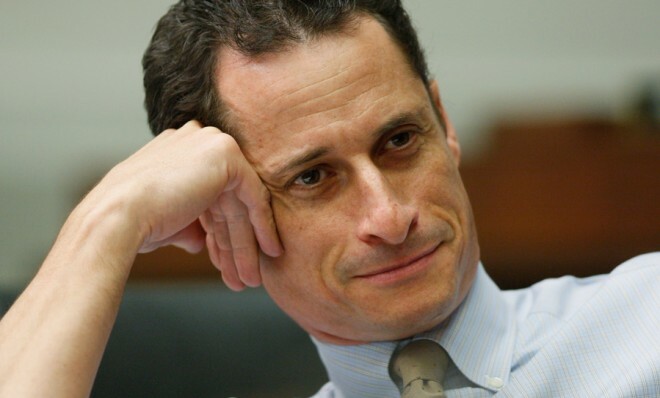 As for the mayoralty, we figure that if Weiner can extend that far, he’ll get our vote. A. We were tired of wringing our hands about the dearth of Jewish candidates in the New York mayoral race and what that means for the future of New York Jewry. – Lesbians Back Quinn, but Will Gays Prefer Weiner? Now of course, some might find this childish, but Jewdar has a simple policy, which is that while we won’t make fun of you for being named “Weiner,” we will definitely make fun of you if you’re named “Weiner” and you send random women photos of your eponymous body part. So thank you, Anthony, and good luck. Can a Weiner be a putz?